Once you’ve implemented a great social media strategy, it can sometimes feel like you’re practicing theoretical physics. You have ideas and concepts in play that seem like they should create the desired results, but it may not be easy to see them taking shape in the real world with real consequences. When your strategy centers on customer service and delivering a great customer experience, though, the responses of your audience can give some much-needed evidence to support the theoretical side. To exemplify the connection between a great strategy and great results, we spoke with a savvy marketer and a happy customer. Andy Newbom is a social media expert and marketing strategist who had a noteworthy experience when eating at San Diego restaurant Puesto. To understand how the restaurant won him over with social media, we got a behind-the-scenes look with one of Puesto’s partners, Eric Adler. Andy Newbom told us about a great experience he had when planning a meal out with his sister. 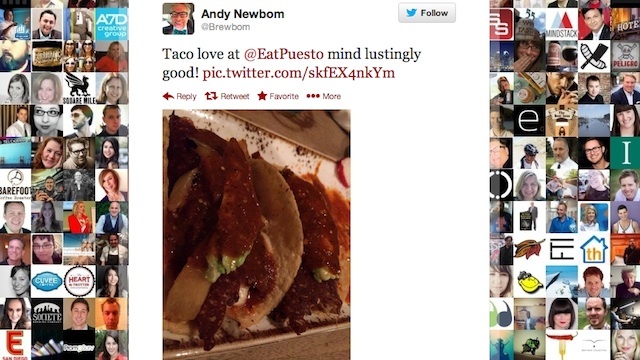 The pair decided to eat at Puesto, and at about 4:45, Newbom tweeted about their plans and tagged the restaurant. When he arrived at the restaurant at 5:30, he asked if they had a reservation under either his name or his sister’s. To his surprise, the host said that the restaurant had seen his tweet earlier in the evening and set up a table for the two of them. 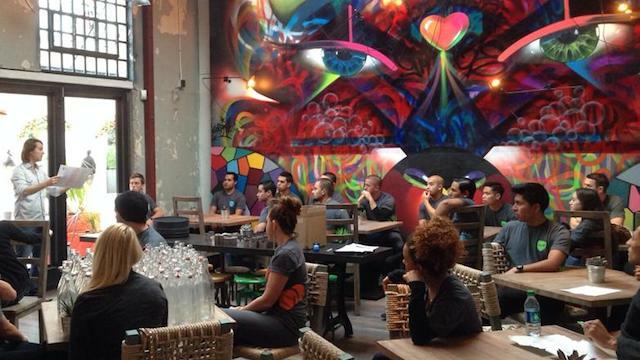 The restaurant’s move to take initiative made an immediate impression. In Newbom’s own words, “That’s so freaking epic I can’t believe it!” He made a point to ask who ran social media for the restaurant. Over the course of the dinner, Newbom did his usual social media routine, checking in on Yelp and snapping a few photos of the meal and tagging them on Instagram and Twitter. Later, a server brought out complimentary guacamole and desserts for Newbom and his sister. They also got a visit from the manager at the end of the night, and he asked if they wanted to try samples of a new frozen horchata drink. “Since then, I ate there with my whole family — and they did a similar thing where they noticed that I said I was coming in and made a reservation for me,” he said. The family received similar treatment, with a special dessert for his daughter. 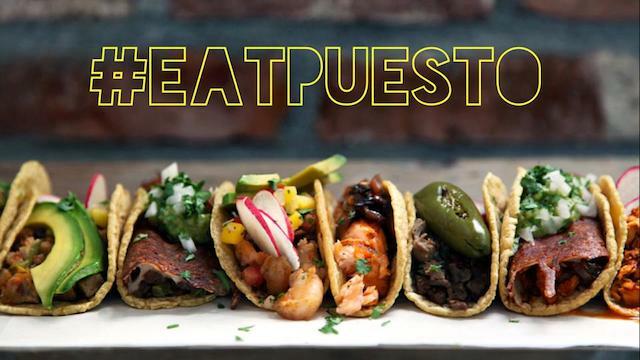 Puesto is always finding new ways to reach out to customers through social media and encourage conversations with them. Eric Adler is a partner for the restaurant, so he has his finger on the pulse of many aspects of the business, including branding, marketing, and menu design. He’s also in charge of social media. Newbom’s experience was a perfect example of how Adler leverages social media for the benefit of guests. Although the sit-down restaurant is new enough that Adler hasn’t yet been able to recreate the experience for other patrons, he still puts out extra effort to connect with people before and during their Puesto visits. By putting the focus on creating a special customer experience, Adler and the Puesto team have been able to develop a strong following on social networks and in-person at the restaurant. If every customer can have the positive response of Newbom, then the company has done its job well.